We’re having an unusually warm March here in Colorado, so with the melting of the snow and ice Christine and I hung up the snow skis and jumped on our trusty BMW adventure bikes to tag our first pass of 2016. 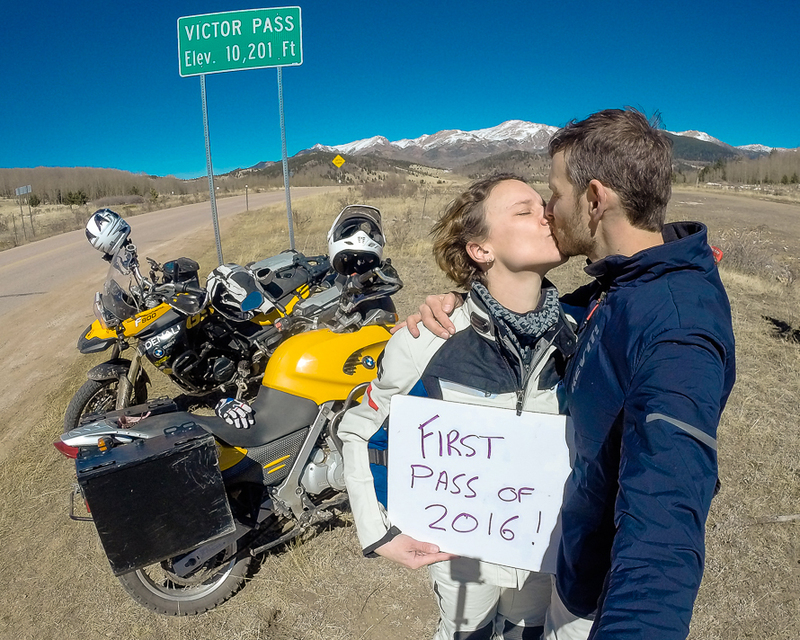 Victor Pass sits at 10,201′ near the town of Victor, Colorado. We had already ridden over it multiple times but never had time to stop and officially enter it into our log. Christine always thought it best if we were home on time to pick our kids up from school. 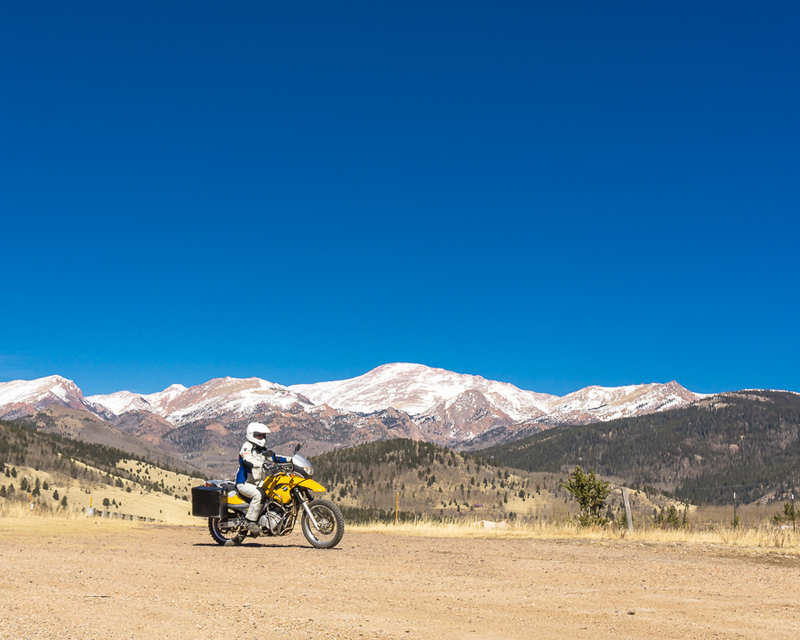 Lying on a paved road, Victor Pass is one of the easiest passes in Colorado, but also one of the most beautiful, no matter how you get there. Pikes Peak sets the stage nicely as Christine enjoys the first dirt of the year. Across the street from Victor Pass is a nondescript dirt road that leads to American Eagles Overlook. 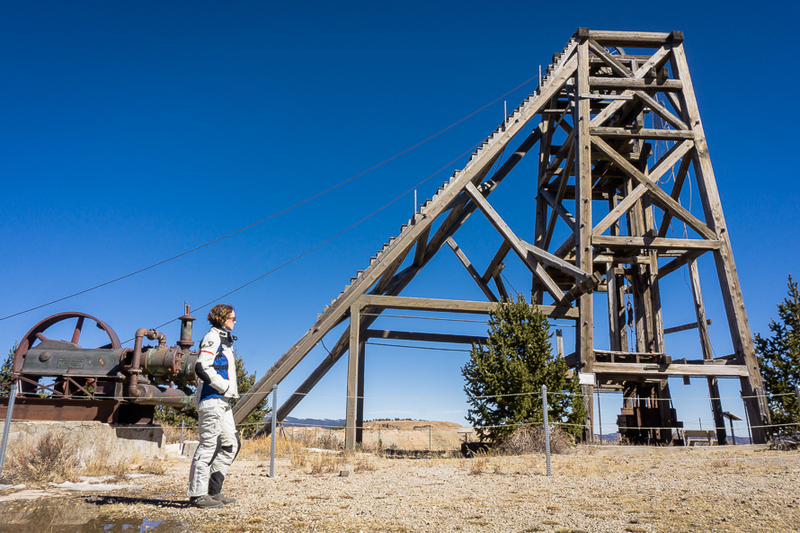 Victor and nearby Cripple Creek have a long and colored mining history dating back to the late 1800s. A short drive up the road and a brief stop to check in with the mine guard brings you to the top of the hill and some historic mining buildings. 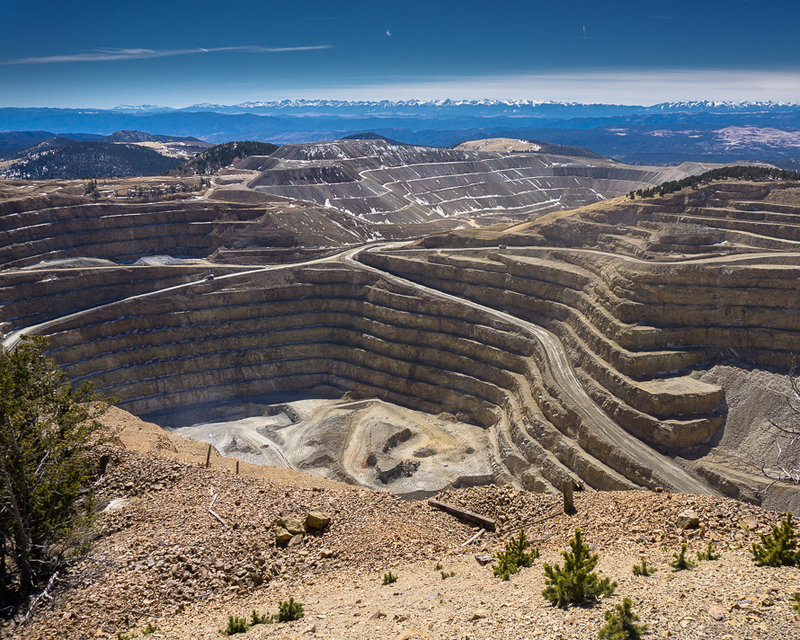 You’ll also find an incredible view into the Cripple Creek and Victor Gold Mine with stunning views of many 14,000′ peaks in the distance. Can you spot the vehicles at the bottom of the mine in the following picture? As of early 2016, the road giving access to these historic buildings and scenic view is under review to be closed permanently by the Cripple Creek & Victor Gold Mining Company due to a change in mining operations and the associated increase in mining traffic. Check with the mine before you arrive to make sure the road is open. Here’s the route we took if you’d like to ride Victor Pass on your own.